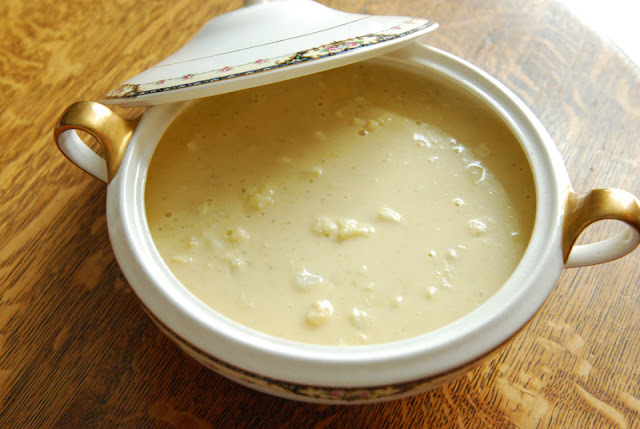 Cheesy Cauliflower or Broccoli Soup - Jill Ruth & Co.
Clean and cut up the head of cauliflower or broccoli and steam just until fork tender in microwave or steamer. Melt margarine or butter in soup pot and add the celery and onion. Saute until quite soft. Season with salt and pepper. Add the flour and stir and cook for a minute or two. Add chicken broth and cook until thick. This will take only a couple of minutes. Add half and half and milk. With a hand blender, puree the soup. Add the cheeses. Simmer very gently until cheese is melted, stirring often so it doesn't scorch. 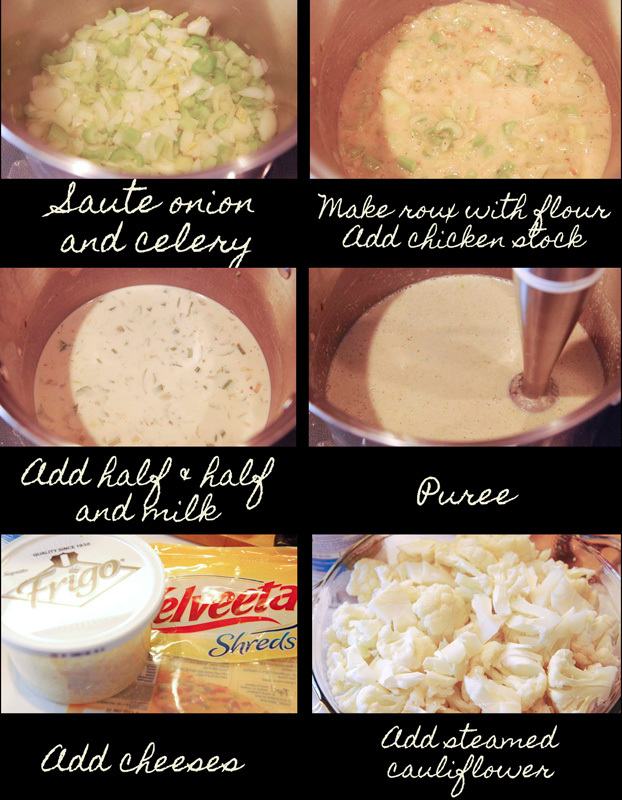 Add the steamed cauliflower and simmer on low 30 minutes. I love cauliflower and or broccoli soup. The cheese makes it superb! I am guilty of doing the same thing for a photo op. Yum Yum Yum we are soup fanciers...thank you for sharing your recipe! Today would be a good day for soup! Your tureen is to pretty to NOT use!